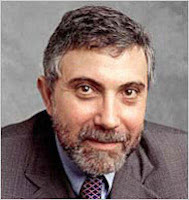 the nytpicker: Op-Ed Columnist Paul Krugman Complains: NYT Won't Get Me Comments Moderator For Weekends! Long ago, I lived next door to a girl who was the assistant for Tom Wicker. She said it was a deadend job and her only real responsibility was to act as a buffer between the copy editors and Wicker. The copy editors would fuss about some construction, send a new version to the assistant who would then feed it to Wicker who would then, 9 times out of 10, turn around and say "No." She would have to feed this back to the copy editors and everyone would play out this theater until they were too tired to care about the commas any longer. I'm glad to see that the assistants now have something a bit more real to do. Here's an idea. Why not have the assistants work on the days the columnists publish -- Kristoff has the same complaints -- and then take a day off during the week when the columnist is coming up with another serving of wisdom. Best to use automated moderating filters to avoid the consequences of over-moderation.